Water restrictions will be “the new normal,” says one city councillor. BARCELONA, Feb 14 (Thomson Reuters Foundation) - Every day, the drought-hit South African city of Cape Town takes to social media channels to exhort residents to save on water, giving practical tips such as only flushing the toilet once a day with water already used for showering or washing up. It appears citizens are largely heeding the call to "beat Day Zero", the date reservoirs are expected to have shrunk so low authorities will have to shut off taps in the city's homes, forcing people to queue for water at 200 collection points. This week, Day Zero was pushed back again until June 4, providing some relief to worried residents. It had previously been predicted as early as April. Ian Neilson, the city's executive deputy mayor, said the postponement was due to falling water use for agriculture in the Western Cape region and Capetonians reducing their personal consumption in line with pleas by officials. At the start of February, the city asked residents to use only 50 litres or less each per day, and provided an online water calculator to help people work out how to do that. For example, a two-minute shower requires an average of 20 litres, but a sponge bath from a basin takes only 3 litres. The coastal city of about 4 million people has now cut its consumption to 526 million litres per day, about half the more than 1 billion litres used two years ago, Neilson noted. "If we continue to work as a team to lower our consumption to 450 million litres per day, as required, we will become known as one of the most resilient cities in the world," he said. "We are fast becoming a leading example of a large city that is fundamentally changing its relationship with water," he added in a statement. Officials and experts agree the three-year drought that has hit South Africa's legislative capital - the worst in Cape Town's recorded history - has shocked the public into a new awareness of the need to conserve water as climate change brings more extreme dry spells. "I think water restrictions are going to become a permanent part of our lives going forward, and the city doesn't intend on removing any water restrictions, at least in the forseeable future," said Cape Town Councillor Xanthea Limberg, the executive mayoral committee member for water and waste services. "It is going be a part of what we term the new normal," she told the Thomson Reuters Foundation, adding that other municipalities in South Africa would need to conserve water too. Cape Town has used a range of measures to push individuals and businesses to save water, from lowering water pressure in its distribution system to introducing water audits for the private sector and hiking fees for big water users. The city has managed to hold the line on water consumption despite rapid population growth, Limberg noted. It has also kick-started projects to augment its water supply, including building desalination plants and tapping into underground aquifers. While those steps may help stave off the day the city's taps run dry, some analysts say more could have been done earlier. "There has been poor planning and coordination, and ... a lack of accurate assessment of the situation," said Dewa Mavhinga, Southern Africa director for Human Rights Watch. He urged Cape Town authorities to guarantee that, if Day Zero does come, water will still reach vulnerable people, including the elderly, disabled and sick. In the city's informal settlements, where most homes do not have taps, women and girls already struggle with access to water and sanitation, Mavhinga noted. "We are at the stage where things could get much worse," he told the Thomson Reuters Foundation, speaking from Cape Town before Day Zero was delayed to June. Councillor Limberg said water was a basic human right, and local government had a responsibility "to ensure access". If Day Zero happens, and the water allocation is halved to 25 litres per person a day, the city has prepared a disaster plan that includes water deliveries to those who cannot easily go and fetch it, in partnership with local groups, she added. Reggie Ferreira, director of the Disaster Resilience Leadership Academy at Tulane University in New Orleans, said political infighting at the national, provincial and city levels had complicated Cape Town's response to the water crisis. He and others said the central government had been too slow to declare the water situation in the Western Cape a national disaster - a move it finally made on Tuesday. Ferreira noted that the Western Cape is the only province not governed by the ruling African National Congress, which has been caught up in efforts to remove President Jacob Zuma from power. There is also political controversy in Cape Town itself. The Democratic Alliance, which runs the city, is due to vote on a motion of no confidence in Mayor Patricia de Lille this week, following charges of misconduct levelled at her team by her party. "The political squabbling has resulted in paralysis of responses and planning to deal with the water crisis," said Mavhinga of Human Rights Watch. Ferreira said provincial disaster management officials had raised the alarm about the potential impacts of drought two to three years ago, but those warnings were not acted on. 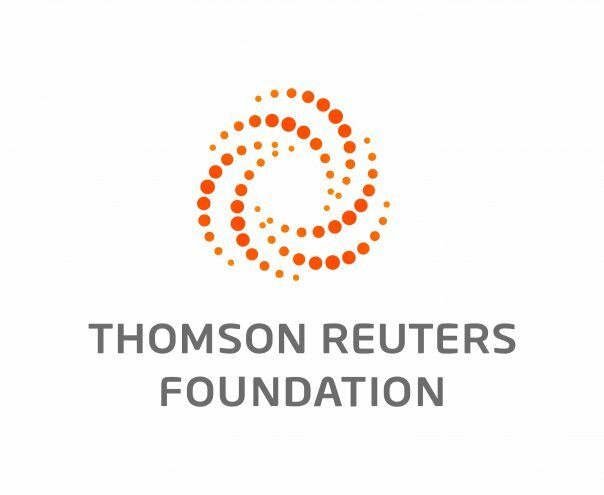 "There is knowledge in South Africa on the ground level, but it comes down to politicians who have to put the stamp of approval on these things," he told the Thomson Reuters Foundation after visiting Cape Town. While there has been much talk of "resilience" in the city, it remains more of a buzzword than a reality, he said. Under its participation in the 100 Resilient Cities network, backed by The Rockefeller Foundation, the city is working on a strategy outlining new ways of dealing with the pressures it faces - including water risks, crime and economic inequality. The plan is due to be finalised at the end of the year. Cape Town is also one of five cities recently selected to develop a global standard for urban areas that aim to strengthen their resilience to water challenges - from droughts to floods - in a partnership led by engineering firm Arup. Councillor Limberg said Cape Town had suffered from unreliable weather, which was out of line with predictions by the South African meteorological services and related to global warming. The rains normally start in May, she added. But in this new "environment of uncertainty", it will be necessary to end South Africa's dependence on rainfall for its water and find additional sources, she said. She called for legal reform so that cities can take on more responsibility for the security of their water supply - something that is now the job of the national government - as well as receiving more financial support to do so. "We can no longer be fully reliant on surface water in the form of rainfall to fill our dams," Limberg said. "We definitely have to shift our approach."